For the last fifteen years few music ensembles have dominated the world of salsa like the Spanish Harlem Orchestra. So, it was only fitting that the band should celebrate this milestone with another masterful array of songs on an album simply entitled Anniversary. Since its inception under the musical direction of pianist, composer and arranger, Oscar Hernández, the group has delighted audiences with music featuring intricate arrangements and viscerally exciting rhythms, steeped in the authentic Latin-Jazz tradition. Their high-energy performances have delighted audiences across the globe from Asia to Australia, from Latin America to Europe. 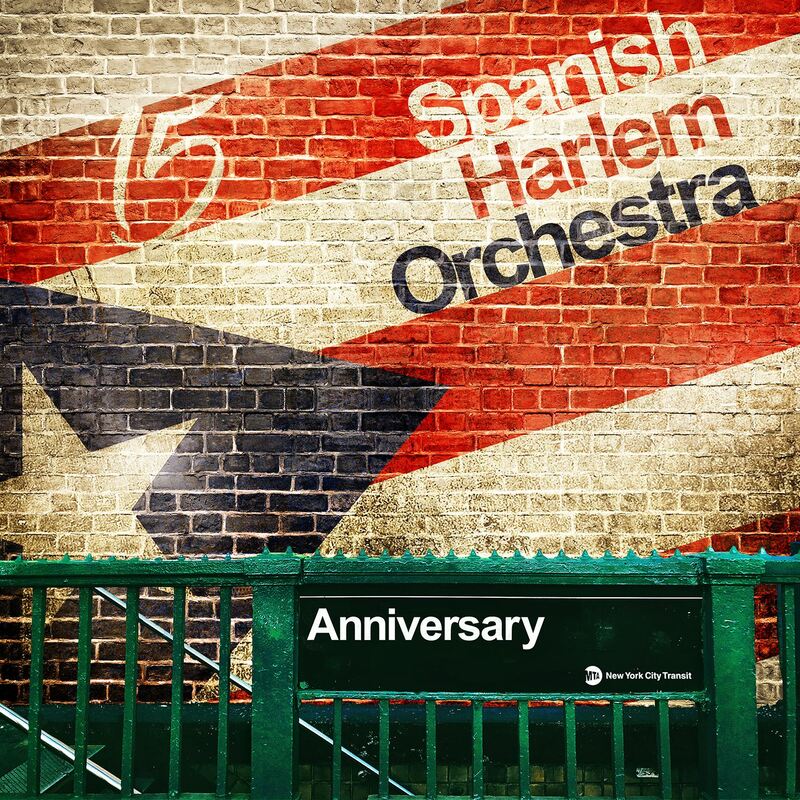 Grounded in the past, but with an eye firmly fixed on the future, Spanish Harlem Orchestra continues to play an integral role in ensuring salsa duraor hard salsa is not just alive, but a thriving musical force. As before, the consistent thread in Anniversary is the pulsating rhythm, sophisticated arrangements and a lot of care toward producing quality music with high integrity. On each of the thirteen songs, some familiar and others relatively rarer, The Spanish Harlem Orchestra parlay with the familiarity of old friends, yet their playing always retains that sense of gracious etiquette associated with some of the most noble Latin-Jazz ensembles of any era – groups such as Machito, Tito Puente and lately the various incarnations of Bobby Sanabria’s bands. Eight of the thirteen arrangements have been made by Oscar Hernández. An obsessive perfectionist, Mr Hernández has polished his own composition and those of several others into gleaming gems. Throughout, his writing is idiomatic, and the members of this orchestra make the black dots literally leap off the page. Still form and function nestle cheek by jowl in each of the songs. The music is never flashy, unlike that of many contemporaries. Solo forays by musicians, when called upon to step into the limelight, are cogent and yet full of visceral energy and excitement. Nothing is forced or exaggerated, or overly mannered; tempi ensemble and balance – all seem effortlessly and intuitively right. Virtually everyone is given a chance to shine and as always, Mr Hernández, Doug Beavers, Noah Bless, Mitch Frohman and Héctor Colón stand out as does Randy Brecker, who makes does a stellar turn on “Somos Uno”. The cherry on the cake may be “Tres Palabras” but every other work is sparkling and gem-like so that even after just over an hour, one is left quite simply gasping for more.